The dream of surfing Lower Trestles with just a few others is now a reality at the 2013 Hurley Pro. For the first time ever, Hurley is offering five spots in an Expression Session featuring Rob Machado and an empty Lowers lineup between the dates of Sept. 15-21. The spots will be decided through an online bidding process, with the nod going to the five highest bidders. All proceeds from the online auction will go to the San Onofre Foundation, caretaker of the San Onofre/Trestles region. 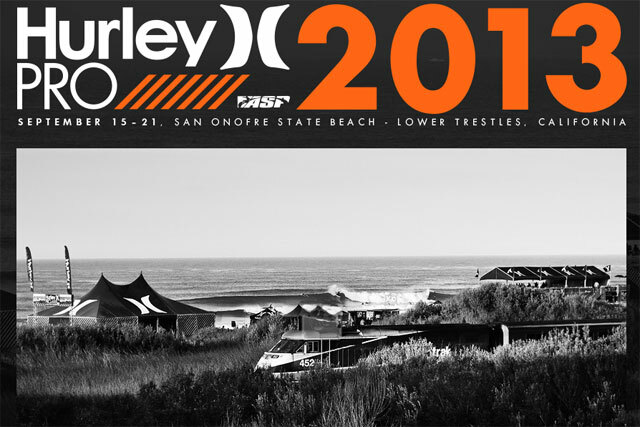 Beginning August 26, the public can place a bid or text the word “Hurley” to 52182 and place their bids to participate in the 2013 Hurley Pro Expression Session. The online auction will end midnight PST on Sept. 5, when the top five bidders will be announced. The Hurley Pro Expression Session is open to everyone. Be sure to place your bid here or text the word “Hurley” to 52182. Previous What’s it like on the boat during the Tahiti Pro?